Today’s studies quickly become yesterday’s test results. Students learn material, take a test and move to the next subject matter, leaving little room for U.S. history to make a true impression on children. Yet, history is so vital to a child’s education; after all, as the old adage goes, if we don’t know our history, we’re bound to repeat it. Consider taking your youngsters to one of these historical sites, where they’ll not only learn about America’s history, but they’ll also become a part of it. The National Underground Railroad Freedom Center is open Tuesday through Saturday to visitors. Guests also can research their family lineage at the onsite FamilySearch Center, where they can receive free, personalized assistance in tracing their family tree. This is a great activity for both adults and children in Cincinnati. Historian and social activist Ruth Abram and co-founder Anita Jacobson opened the Tenement Museum in 1992 in New York City with the goal of honoring America"s immigrants and the challenges they faced building a new life in a new country. They started with a rundown tenement at 97 Orchard Street with the 1878 home of the German-Jewish Gumpertz family. Today, it is one of six restored apartments that showcases how families survived difficult economic times, dealt with adverse conditions at home and work, and held their own in a sometimes-unfriendly community. 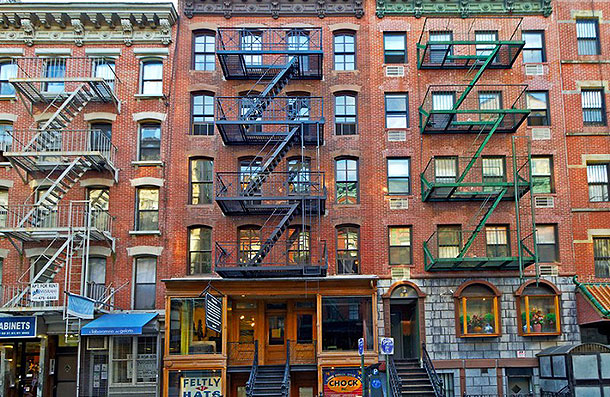 Tenement Museum offers a number of guided tours (the only way to see the museum) that focus on varying topics: visitors can choose to tour the building by visiting different apartments, they can meet the residents, who are played by costumed interpreters and they can Ã¢â‚¬Å“walk the neighborhoodÃ¢â‚¬Â through several tours that spotlight different aspects of the area. Tour schedules and ticket prices are available on the museum Web site. 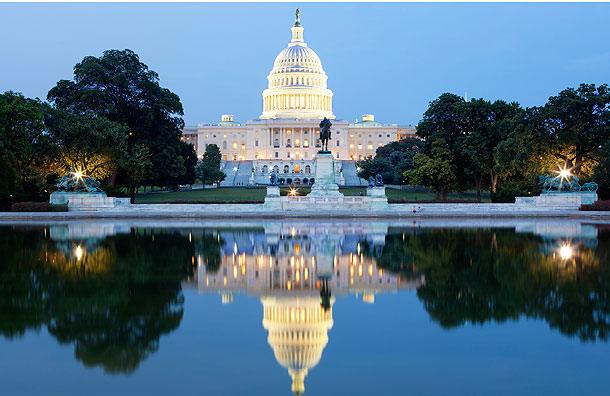 Our nation's capital, Washington, D.C., is the prime location for learning about our national government and how it functions. At the U.S. Capitol, children can see how our senators and congressmen craft bills that are voted into law, or visit the U.S. Supreme Court, where visitors may watch the justices hear and vote on cases with national implications. However, this district also is a treasure trove of American history. At the National Archives and Records Administration, visitors can see the original documents that formed the basis for the American government: the Charters of Freedom, the U.S. Constitution, the Bill of Rights and the Declaration of Independence. The Smithsonian Institution alone covers more topics than you can digest in a single visit: American history, American Indian history, air and space, arts and industries. The material is so vast it fills 19 museums and galleries, as well as the National Zoo. Then there are the memorials and monuments that commemorate many of our great leaders, along with the many men and women that gave their lives in service to our country. Many of these attractions are located along the National Mall, although several more are spread throughout the city. And, of course, there's the White House, where the president lives and conducts business. Of special note: Although not based in U.S. history, the U.S. Holocaust Memorial Museum should be included on every family's itinerary. At this museum, kids will get a deeper understanding of the persecution and murder of the Jewish people in Europe before and during World War II. Jamestown, Yorktown, and Williamsburg, Va.
See where the United States of America got its start at Jamestown, America's first permanent English colony, settled in 1607. At the Jamestown Settlement Museum, you can see how these earliest residents developed their community with such re-created settings as a Powhatan Indian village, 1607 English ships and a 1610 colonial fort. Nearby at the Yorktown Victory Center, families can see where the British surrendered to American and French forces to effectively end the Revolutionary War, which set the stage for the official formation of the United States of America. This museum showcases life during these times through an open-air exhibit walkway, as well as many indoor exhibition galleries. 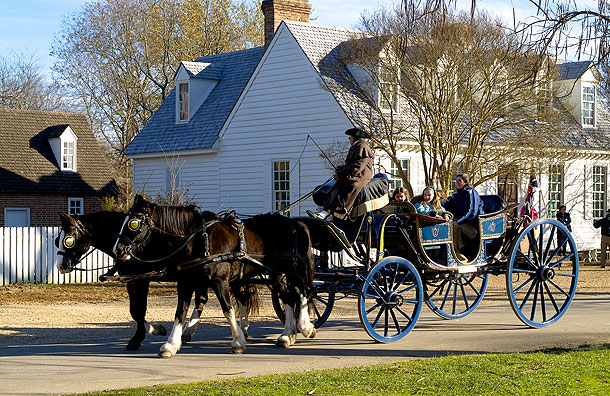 In neighboring Colonial Williamsburg, visitors can explore a re-created 18th-century town complete with original buildings, homes, shops and public buildings encompassing more than 300 acres. Not only can you see how daily life during this era was conducted, but you also can learn the stories behind the political movement that led to the fight for independence from England. Like Washington, D.C., Philadelphia is home to numerous historic sites and attractions that played a role in American history. 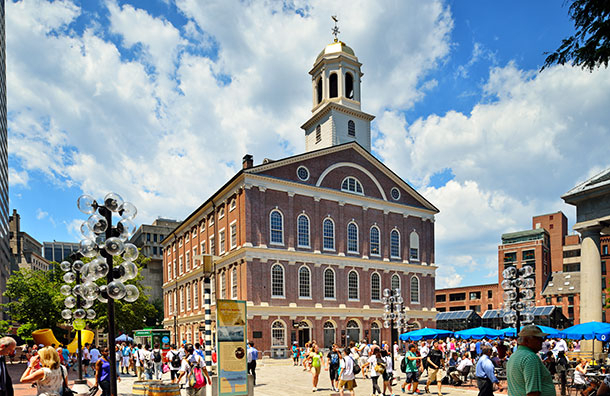 For instance, there is Carpenters' Hall, the meeting place of the First Continental Congress, or Independence Hall, where both the Declaration of Independence and the U.S. Constitution were brought to life. Then there is Pennsylvania Hospital, the country's first hospital, which was co-founded by Benjamin Franklin. 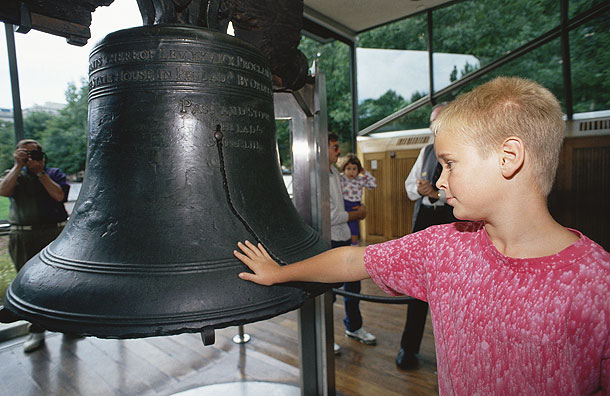 The Liberty Bell Center is home to the iconic symbol of freedom for America. And who doesn't want to see the U.S. Mint, where pocket change and commemorative coins are made? A great starting point is the Independence Visitor Center, where you can get a comprehensive overview of the city's culture and history. To aid you in navigating the city's attractions, consider the AudioWalk and Tour, a 74-minute narrated walking tour of the city's historic sites and parts of Society Hill. On Dec. 7, 1941, America experienced a horrific attack on home soil when Japan bombed the American naval base at Pearl Harbor in Hawaii. More than 3,500 Americans were killed or wounded, with 350 aircraft destroyed or damaged. All eight battleships of the U.S. Pacific Fleet were sunk or badly damaged. The next day, Congress declared war on Japan, and three days later, on December 11th, Congress declared war on Germany. The United States was now involved in World War II. 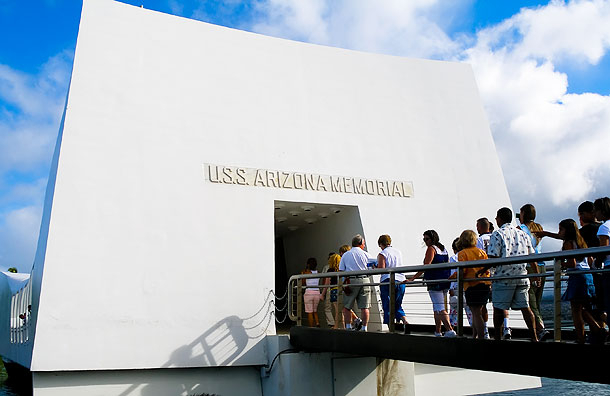 Located on the island of Oahu, the Pearl Harbor Memorial Museum and Visitor Center is part of the Pacific Historic Parks, although the USS Arizona is managed by the National Park Service. The memorial is constructed over the remains of the sunken battleship, which is also the final resting place for much of its crewmen killed during the attack. Visitors can tour the site by purchasing tickets at the visitor center, where they also can see a 23-minute film documenting the attack. In addition, an audio tour is available to guide you through the visitor center and surrounding area. Seeing this site and hearing the survivors' first-person accounts of this life-altering event are something both children and adults should experience. Manhattan Project - Oak Ridge, Tenn.
After the attack on Pearl Harbor, it became clear that the United States had to enter World War II. As such, the "Manhattan Project" was initiated, which consisted of three cities that would produce the world's first atomic weapons. Unlike its counterparts -- Los Alamos, New Mexico, and Hanford, Washington -- Oak Ridge, Tennessee, was built specifically for this project. Carved out of 59,000 acres of rural farmland in 1942, this city rapidly grew to a population of 75,000 people in less than three years -- all without anyone knowing of its existence. In Oak Ridge, three main buildings -- K-25, X-10 and Y-12 -- housed the majority of the work that produced plutonium 239 and uranium 235 for the atomic bombs. Today, visitors can see some of these facilities as part of the free bus tour offered by the American Museum of Science and Energy. In fact, at AMSE, visitors can get an in-depth look at Oak Ridge's history at the museum's exhibit "Oak Ridge: World War II's 'Secret City.'" It's amazing to see not only what was accomplished in this new town, but also the great lengths everyone involved took to ensure its secrecy. Of special note: Take the kids to nearby Clinton, the site of the first integrated high school in the country. At the Green McAdoo Cultural Center, they can see how these turbulent events unfolded in a small Southern town, and learn how the community refused to give in to outsiders who insisted on creating havoc wherever they could. Also a short drive away, families can stop at the Museum of Appalachia in Norris. 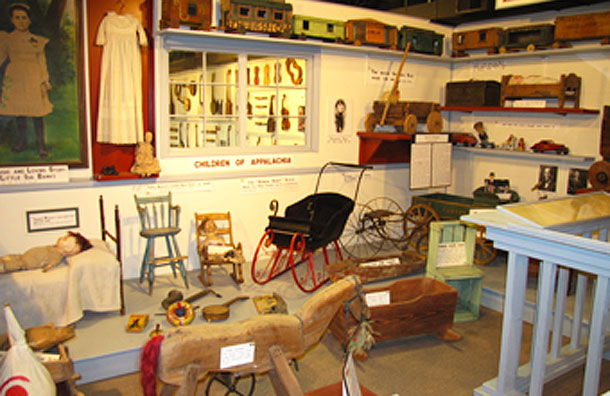 This living history museum features pioneer, frontier and early artifacts of mountain life in the southern Appalachians. While the museum is stocked with a number of items, the focus actually is on the people who carved a way of life for themselves out of some very harsh conditions. Touted as a turning point, the Battle of Gettysburg resulted in 51,000 casualties -- the war's bloodiest battle -- as the Union squashed General Robert E. Lee's second invasion of the North. At the Gettysburg National Military Park, you can examine this conflict from start to finish, beginning at the National Park Service Museum and Visitor Center. Here you will find interactive exhibits, multimedia presentations and relics of the battle, as well as more extensive information in the Resource Room and the Museum Bookstore. To further explore the park, you can embark upon a tour of the battlefield with a licensed battlefield guide or take a guided bus tour. You also can discover the battlefield at your own pace. In addition, there are year-round Ranger programs to aid visitors in learning about the people and events of Gettysburg. In fact, there are several geared specifically for children, including the Junior Ranger program, where kids complete three activities in order to become official Junior Rangers. Of special note: A related site worth visiting is Shiloh National Military Park in Shiloh, Tenn. The site of "Bloody Shiloh," Shiloh National Military Park commemorates the April 1862 battle that resulted in more than 23,000 casualties. At Plimoth Plantation, families can travel back in time to when Native Americans and the Pilgrims cohabitated. The bicultural museum offers an interactive learning experience, utilizing interpreters, exhibits and programs to teach about the Wampanoag people and explore issues that have affected their community throughout the ages. Plimoth holds children's programs, including week-long summer clubs and overnight 17th Century Sleepovers. Kids typically have the choice to have a Pilgrim or a Wampanoag experience. 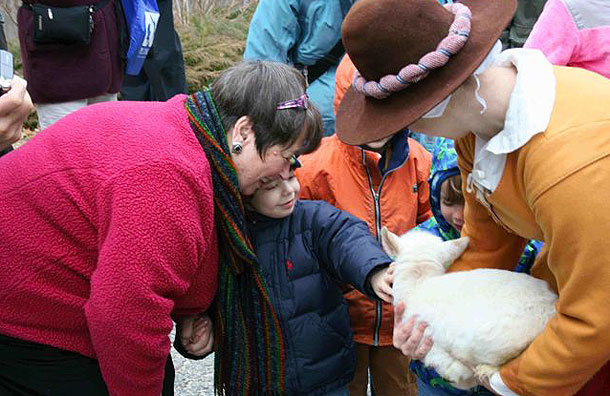 Together, families can tour the Mayflower II, stroll around a Pilgrim village from the 1600s, view rare breeds at the barn or make period crafts. Similar to Williamsburg, staff at Plimoth are dressed in period pieces, making history more fun for children. The historical experience doesn't end at lunchtime. At Patuxet Cafe, families sit down to sample foods that resemble a traditional Thanksgiving Day meal, signifying the meeting of two the cultures. For picky eaters, the restaurant also serves American favorites, like cheeseburgers and fries. Plimoth offers an entire day to become immersed in another world and to appreciate the struggles of each community as they joined together to survive in the New World. 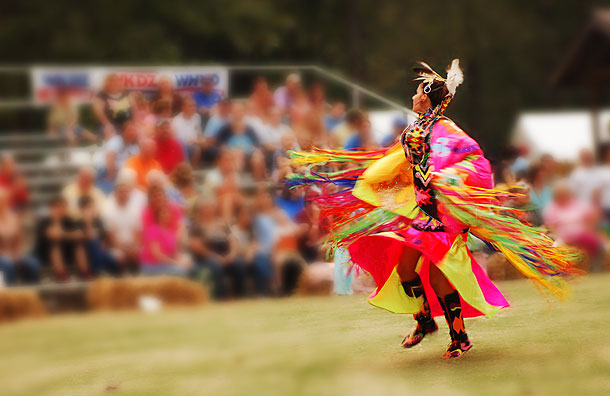 In the 1830s, the Cherokee Indian people were forced from their homelands throughout the southeastern United States and relocated to reservations in Oklahoma. Hundreds of Cherokee died during this mandatory march west, and thousands more died due to the consequences of this move, earning this event the name "Trail of Tears." The routes taken to evacuate and relocate the Cherokee have been collectively documented and commemorated by the National Park Service in the Trail of Tears National Historic Trail. The trail encompasses nine states -- Alabama, Arkansas, Georgia, Illinois, Kentucky, Missouri, North Carolina, Oklahoma and Tennessee -- and includes homes, sites, cultural centers and state parks with historical significance to the Trail of Tears. Because it is so widespread, visitors have the opportunity to learn about this momentous event in American history without necessarily making stops at every site. The official visitor center for Johnson Space Center, Space Center Houston delves into man's foray into space, examining the evolution and advancement of both the equipment and technology necessary to send a man to the moon and beyond. Visitors also can see firsthand what goes into being an astronaut, from training to completing a mission. 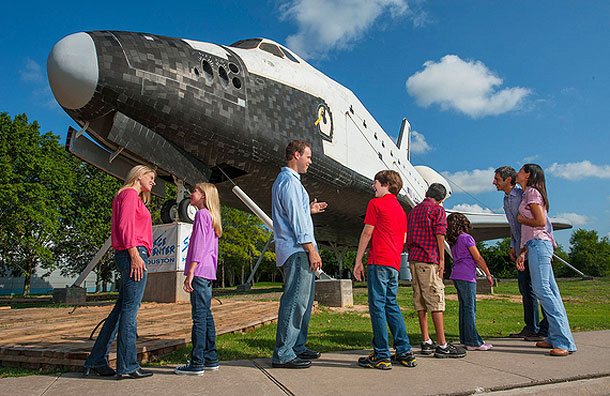 In addition, families in Houston can take part in a NASA tram tour, where they will get to journey through the Johnson Space Center, with such highlights as the Historic Mission Control Center, the Space Vehicle Mockup Facility and the current Mission Control Center. Because the space center is working year-round, you may even get to see astronauts training for an upcoming mission. Especially for children, the Kids Space Place invites kids to experience life as an astronaut via interactive exhibits and themed areas that showcase the various aspects of space, as well as the manned space flight program. The Rev. Martin Luther King Jr. had a dream that was instrumental in obtaining equal civil rights for all residents of the United States, regardless of skin color. To learn more about this historic figure in American history, a visit to the Martin Luther King Jr. Historic Site is essential. 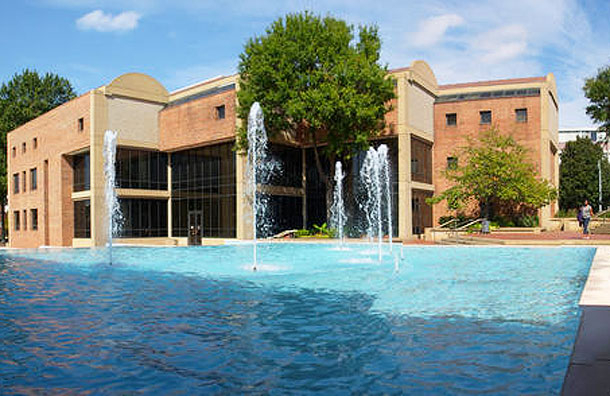 Located near downtown Atlanta, the site is comprised of several facilities, including the Visitor Center, Historic Ebenezer Baptist Church, The King Center and the Birth Home. There are several exhibits that document the life and career of Martin Luther King Jr. as well as the progression of the Civil Rights Movement. Especially geared for children, the "Children of Courage" interactive exhibit in the Visitor Center examines the story about the children of the Civil Rights Movement. To assist you in making the most of your visit, the Martin Luther King Jr. Historic Site Web site features three, time-based itineraries ranging from 30 minutes to three hours. 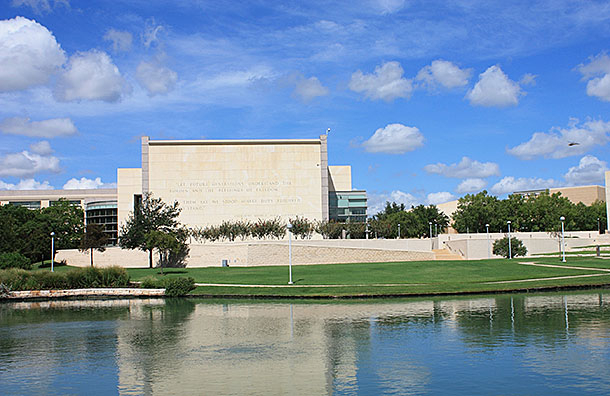 Around the country, Presidential Libraries document the lives and administrations of 13 of America"s commanders in chief: Herbert Hoover, Franklin D. Roosevelt, Harry S. Truman, Dwight D. Eisenhower, John F. Kennedy, Lyndon B. Johnson, Richard Nixon, Gerald R. Ford, Jimmy Carter, Ronald Reagan, George H. W. Bush, William J. Clinton and George W. Bush. During a visit to one of these historic attractions, located in 11 different states, visitors get up close and personal with the country"s former presidents, learning about their childhoods, seeing how and why they got involved in politics, the major and minor aspects of their time in the Oval Office, and their lives beyond the White House. Some of the most revealing exhibits are those of each man"s personal papers while serving in office; whether from heads of state from around the globe or local schoolchildren down the street, these handwritten missives show the humanity of the man behind the title. 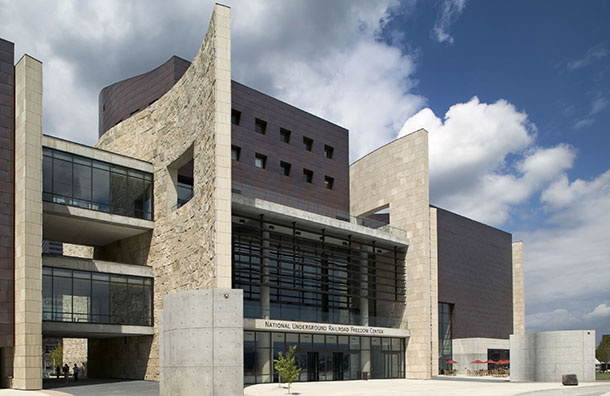 These libraries -- and their accompanying museums -- provide a wealth of information to help visitors learn about the leaders who helped shape this country. Sparked by rising tensions due to continued taxation by the British government without colonial representation, the American Revolutionary War officially started in 1775. However, the Boston Massacre (British soldiers opened fire on a mob of colonists, killing five men) in 1770 and the Boston Tea Party (colonists dressed as Mohawk Indians boarded British ships and threw 342 cases of tea overboard) in 1773 were precursors to the first shots fired on April 19, 1775 in Lexington and Concord, Mass. In 1951, Bill Schofield of the Herald Traveler organized the Freedom Trail, a 2.5-mile route, to link together 16 historical sites to lead visitors through the city"s history. Sites include the Boston Common, site of the Boston Massacre, Paul Revere"s house, the Bunker Hill Monument and the USS Constitution. To explore Boston's Freedom Trail, visitors can pick up a map of the route at the Boston Common Visitor Information Center. 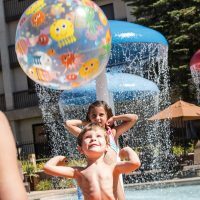 Individual sites are open year-round, but check with each one for current hours of operation and entrance fees. Guided and audio tours are available for an additional fee. Charlottesville is a hotbed of presidential history, thanks to several presidential homes in and around it. The largest and most popular, Monticello, was Thomas Jefferson"s home, which reveals quite a look at Thomas Jefferson the man. From the architectural details (look for the dumb waiters built into the sides of the fireplace in the dining room) to his personal items in his bedroom and office (they are basically one and the same! ), Monticello is quite the showplace. Although a smaller home compared to the others, Ash Lawn-Highland served as James Monroe"s official residence from 1799 to 1823. Visitors will see many original Monroe family furnishings, such as the Hepplewhite dining table, a sampler stitched by Monroe"s daughter Maria and Monroe"s bureau in his bedroom. Each presidential home offers guided tours; check their individual Web sites for current schedules and entrance fees.